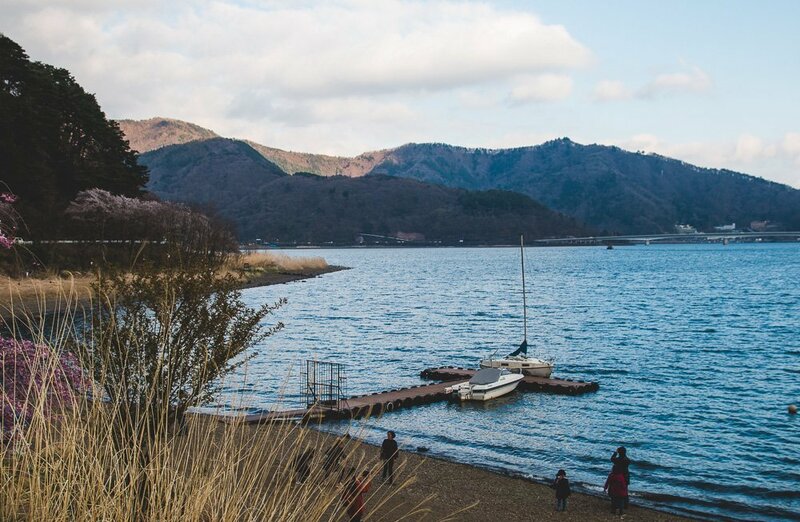 Lake Kawaguchiko is one of the spots that is rising in popularity, largely due to its accessibility and gorgeous panoramic views of Mount Fuji. 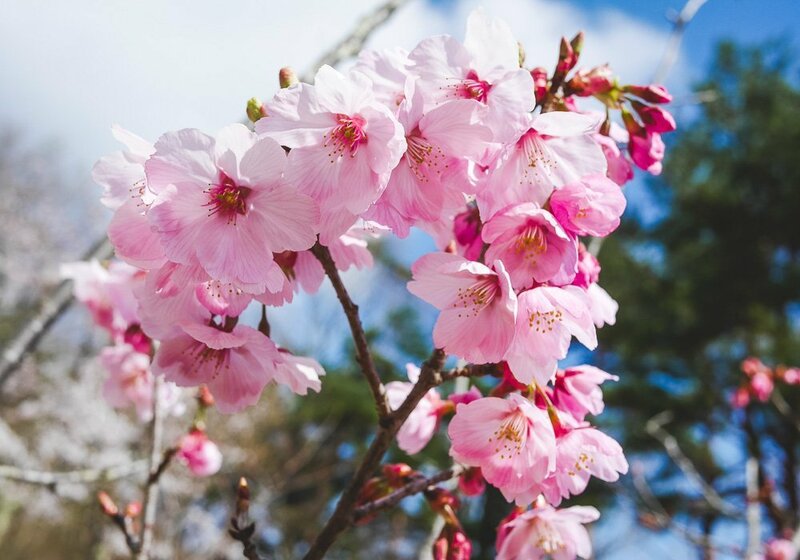 We also found out that it is one of the only few places in the vicinity of Tokyo that was still offering views of beautiful sakura blooms in late April. 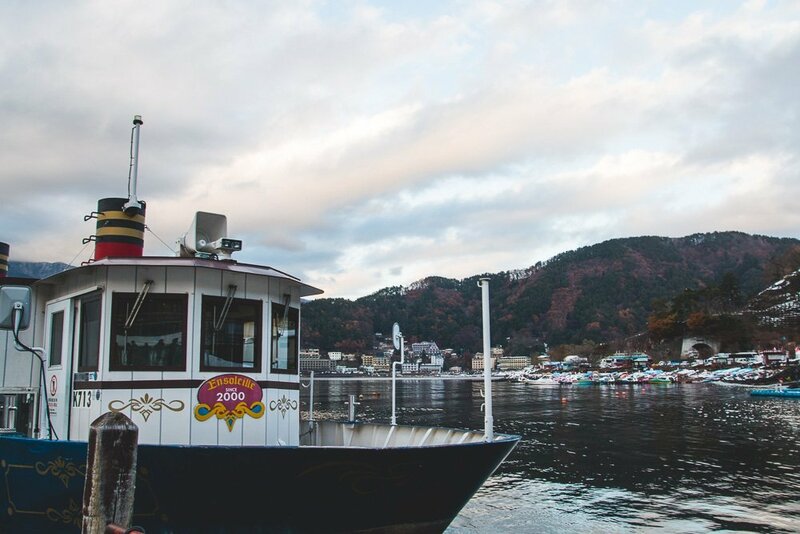 I’ve been to Lake Kawaguchiko twice, despite the long journey between the lake and Tokyo. Once in late autumn, and everything was in hues of blue and deep green with specks of reddish-brown. Note: this post may be kind of confusing because I’m combining my experiences from both the end-year trip and the April one. Starting from Tokyo, we took the train to Otsuki via Mitaka (Shinjuku works as well) then transfer to Fujikyu Railway for Kawaguchiko station. Our journey stretched for 3 hours because we missed connecting trains; it’s possible to complete in 2.5 hours. From Kawaguchiko station, we took the red retro bus to Kachi Kachi Ropeway. 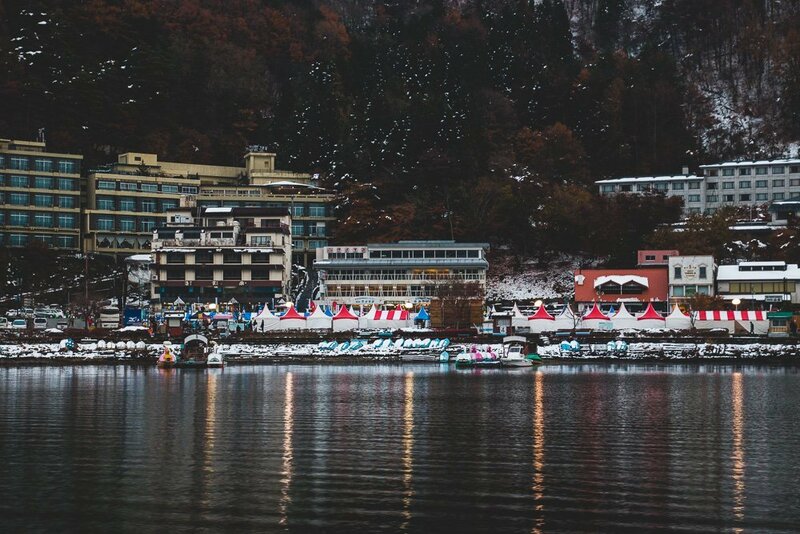 Before you set out for the ropeway, stop by the lake and catch this scenic view. 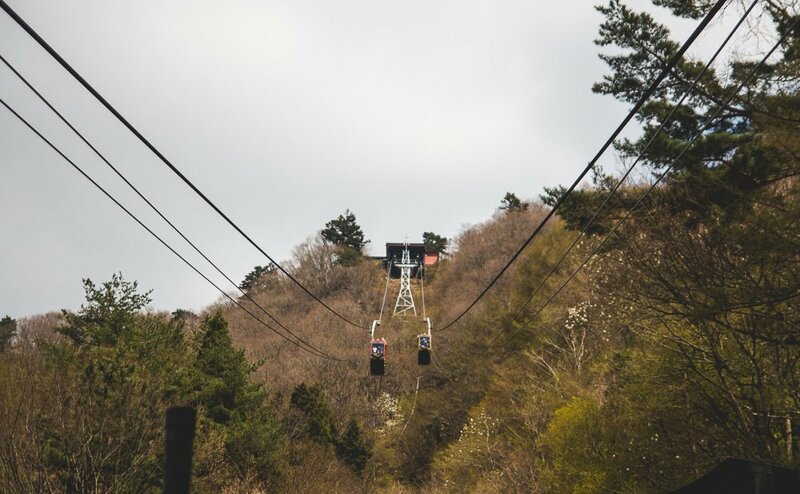 The Kachi Kachi Ropeway takes you near the peak of Mount Tenjo. 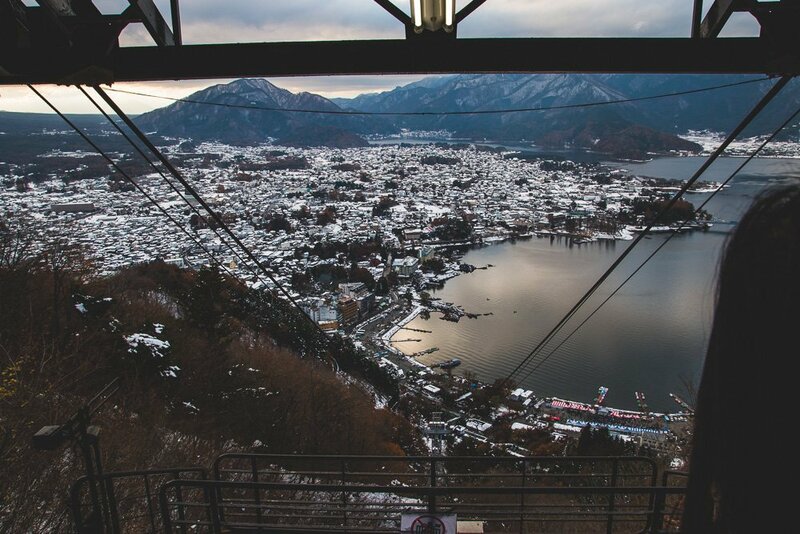 Besides allowing you to take in an amazing aerial view of Lake Kawaguchiko, you will also get to see Mount Fuji and its iconic snow-capped peak on a clear day. 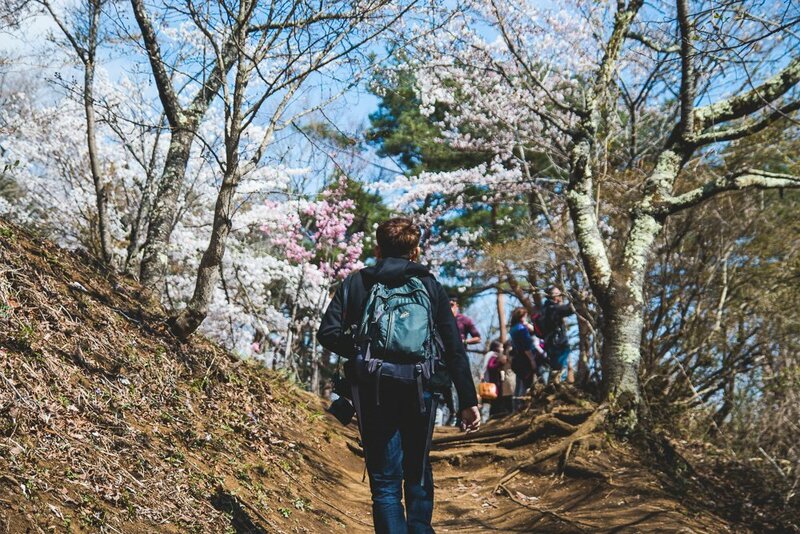 We were also pleasantly surprised to find some cherry blossoms still in bloom on the mountain in late April. I think the white ones are winter plum but still pretty nonetheless. 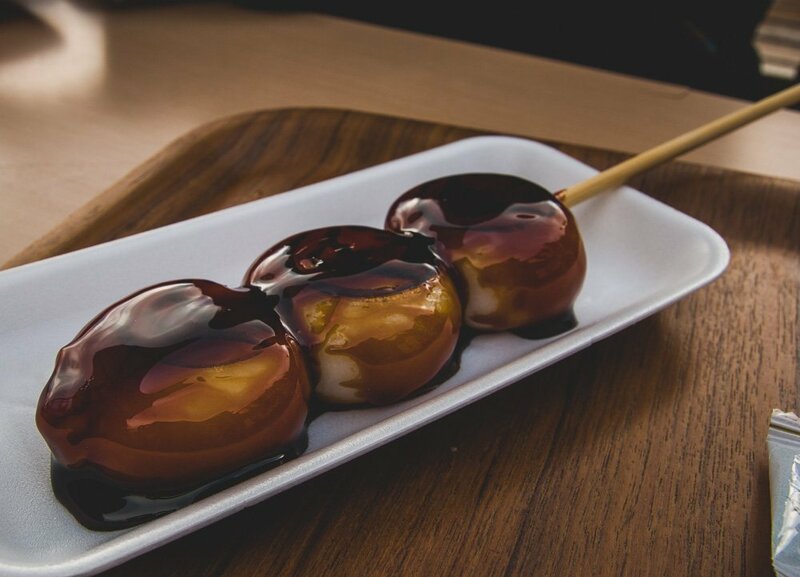 The weather is generally colder than Tokyo so we bought ourselves a cup of hot tea (nothing fancy) and dango (a kind of Japanese dumpling) from the Tanuki teahouse at the observatory deck to warm ourselves before heading down. 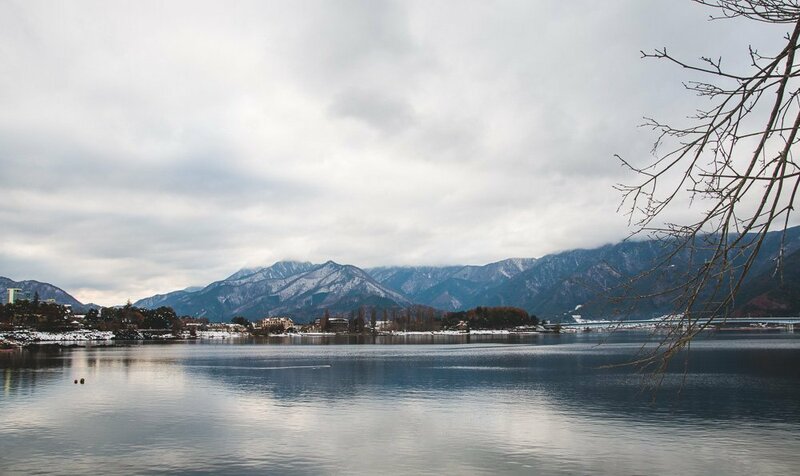 Rather than engaging in the typical tourist activities planted around the lake vicinity, we took our time to stroll along the lake, breathe in the fresh air and soak in the serenity. Lured by the rows of blossoms, we continued walking along the lake. Blessed with clear weather that day, we were treated to unimpeded views of Mt Fuji. 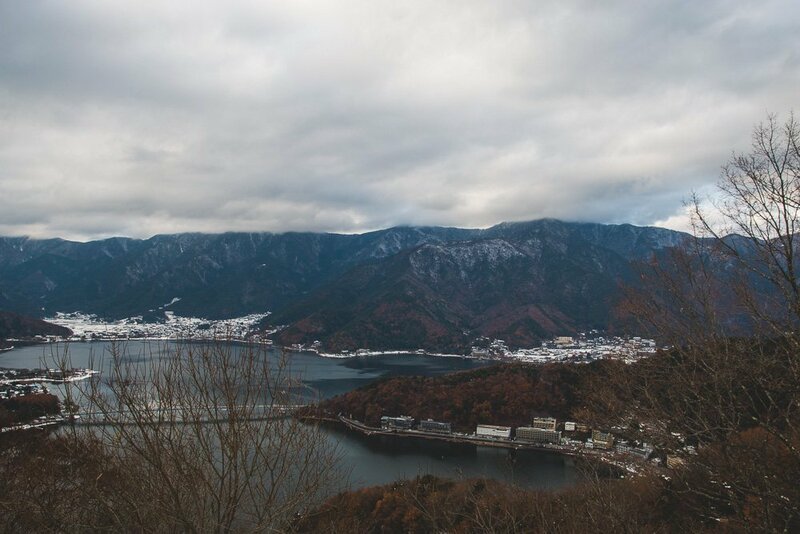 The view was incredible, with the magnificent mountain overlooking the pristine waters of Lake Kawaguchiko. The mountain felt amazingly close and insurmountable. Along the way, we also came across children living nearby and folks just going about their daily routine. The children were extremely polite and welcoming, greeting us “Konnichiwa” as we passed by. Must be nice to live there and wake up to such amazing sights every day. We made it to the last stop of the red line bus route, Oishi Park, on foot. Unfortunately, we weren’t there at a good time and the gardens were pretty bare, save for some specks for spring blooms. 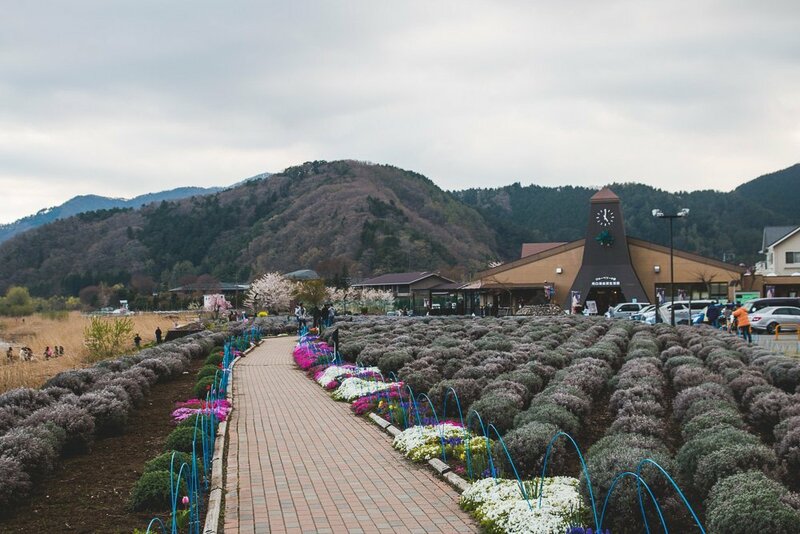 Shortly after countless mandatory tourist shots of the areas, we hopped on the bus and returned back to Kawaguchiko station. You can either take the train back (same route to Lake Kawaguchiko but in reverse) or get yourself a seat on a highway bus. My preference is the highway bus to any of the stations on the Yamanote line so you can rest your sore legs on the bus. Besides, I feel it’s kinda stressful to catch train transfers and whatnots. The traffic at night is typically not congested, so you can expect a little more than 2 hours on the bus. Tip: Get the return bus tickets at the station before you set off for sight-seeing; buses back to Shinjuku station is especially popular. 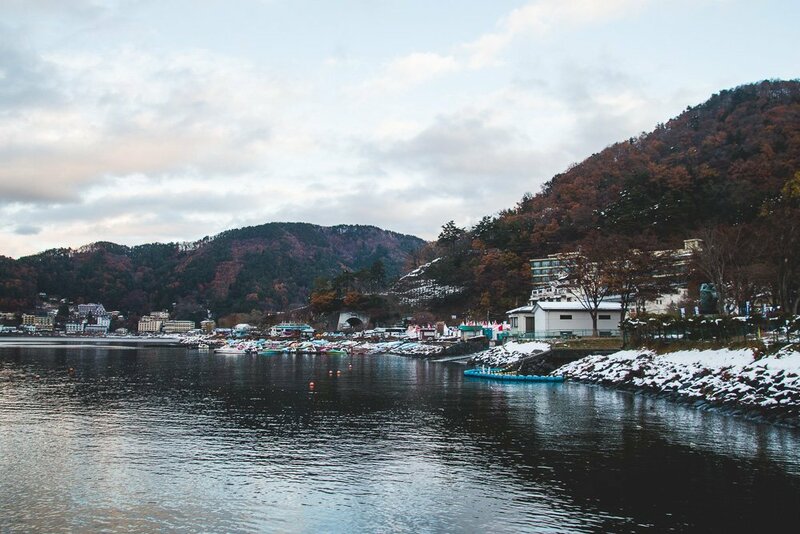 Given the chance, I would love to visit Lake Kawaguchiko again and perhaps, even stay overnight at a hot springs ryokan. 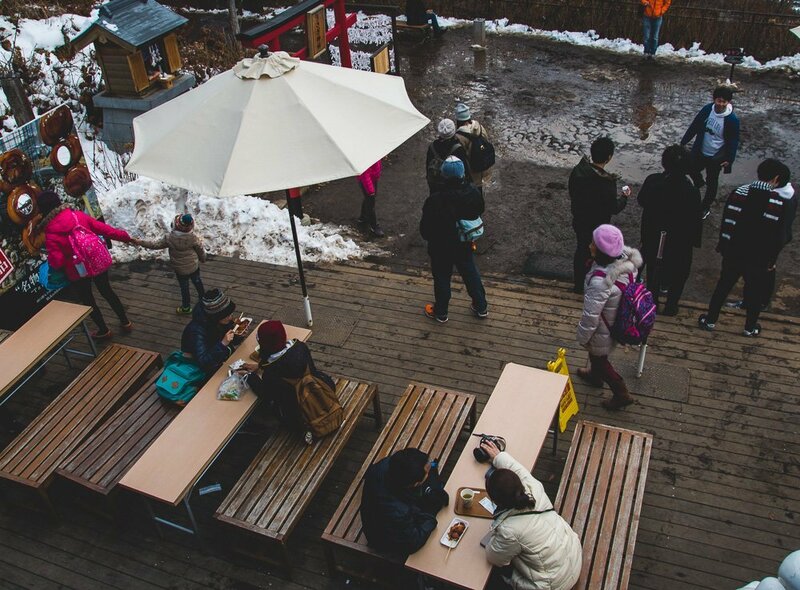 What are some other activities that you would recomend or wish to do at Lake Kawaguchiko? Let me know in the comments! Absolutely stunning! You were so lucky to see Fujisan. I am going next month and would very much want to make this trip if I get a sunny day. 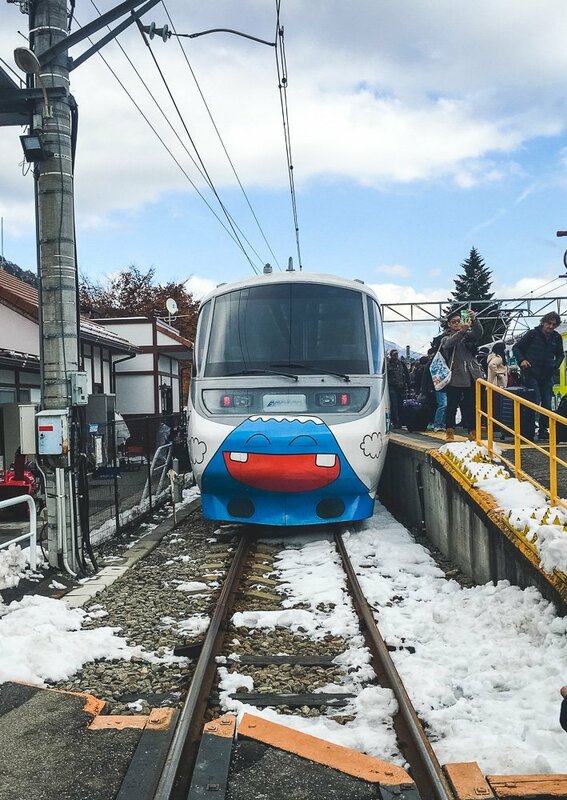 Where you using a JR Pass? Not sure if you mentioned it and I missed it. The cherry blossom+the snow makes it look best of both worlds. 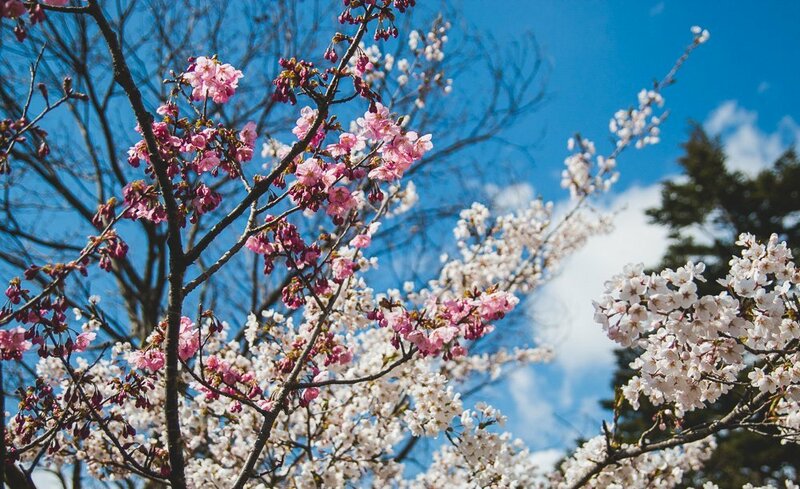 Hope you make it in time for the cherry blossoms! Yep, we used the JR pass but the pass can only be used for the stretch from Tokyo to Otsuki. I just love Cherry Blossoms! We have a beautiful place to see them about 4 hours from home but to see them in Japan would be simply amazing! I’m envious! Would love to be near to cherry blossoms too. Wow what a gorgeous lake. 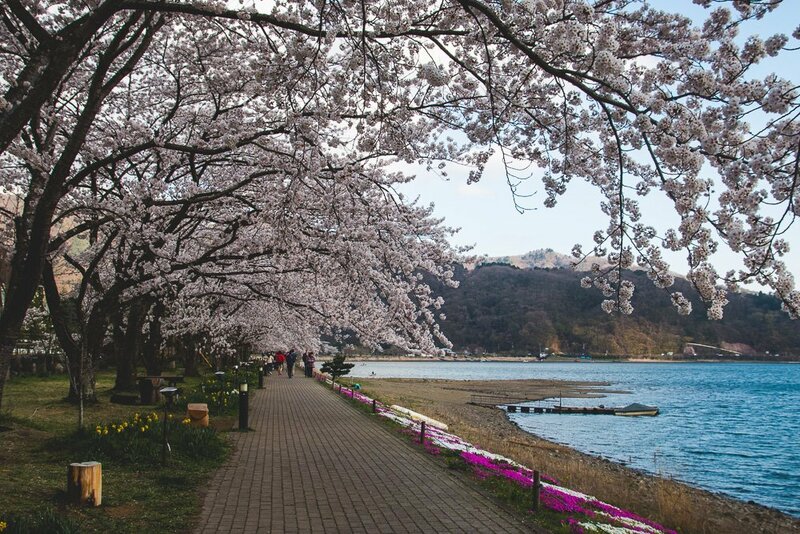 Although we have a cherry blossom festival here every year, I am sure it doesn’t compare to the ones over there. Your pictures are absolutely stunning and I can see why this place is getting so popular. We didn’t visit here when we visited Japan but I certainly would now! Wow! It is stunning. I loved those cherry blossoms on the track. Beautiful place to explore. Lovely photos, quite appealing. Yes, it’s a beautiful place. Especially if you get to see Mt Fuji in her full glory. This is one of the trips I failed to make while in Japan. And your pictures are amazing! Love how you captured the beauty of Mt. 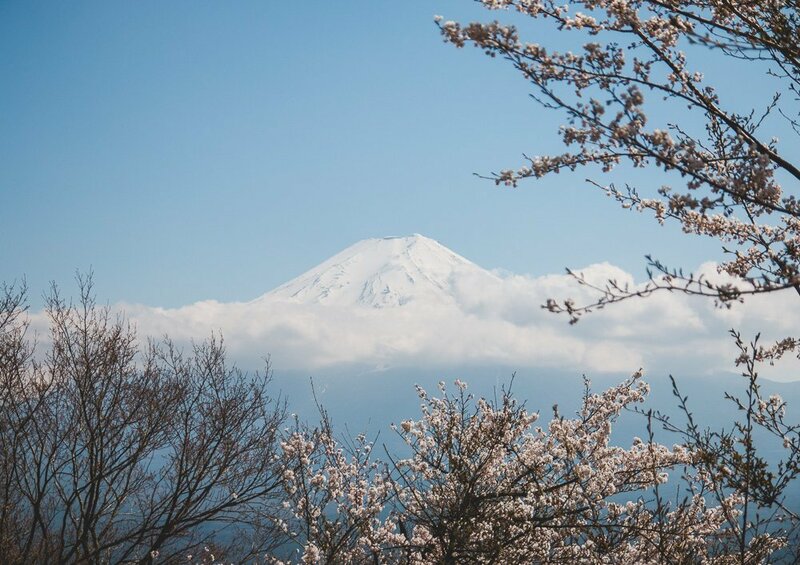 Fuji, the cherry blossoms and the snow. Dumplings and cherry blossoms have me totally hooked! I loved the photos.